We’re looking for the best photography done in the past six months. Professional or student. Commissioned or unpublished. Commercial or fine art. Judged by an editorial staff of award-winning graphic designers, a former judge for Communication Arts annual and represented in The Graphic Eye: Photographs by Graphic Designers from around the Globe, a judge for the Society of Illustrators, Print Regional Design Annual and regional and national advertising and design competitions. Recently named one of the top 100 art and design publications in the world. CQ36 International Call for Entries accepts professional and student entries from all parts of the globe. Categories include graphic design, photography, illustration and fine art. 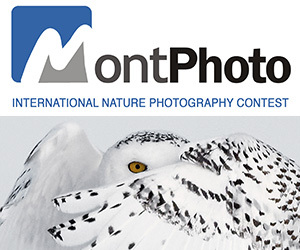 Entry fees are $15 per single entry, $45 per series—3 to 5 images. $10/$20 for students. Winners will appear in the Fall issue of Creative Quarterly and be exhibited in our online gallery. All judging is done digitally so our judges don’t know the identity of our entrants. It takes a majority of the judges’ votes to be featured in the magazine. NEW: This year we’ll be adding a special judging at the end of the year, all winning entries for 2014 will be judged by an outside honorary judging panel, one for each category. Our instructions to the judges will be to select the top twenty-five entries from each category (advertising, graphic design, illustration, photography, and fine art) bringing our grand total to the top 100 entries of 2014. We will then prepare a book for publication at the beginning of 2015, winners will receive a discount on the annual as well as a certificate of distinction. PRIZE DETAILS: Publicity inside the Fall issue of the magazine, reproduction of winning entries in print, digital and online. Runner up entries published online only. 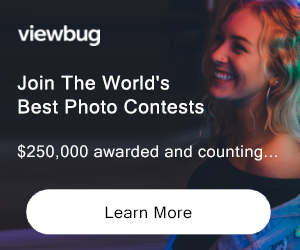 ELIGIBILITY: Open to all photographers in all countries. Each entry must be submitted as: 10-inches on the longest side (25.4cm), 72 dpi, RGB, Jpeg Not eligible to enter? - Find contest where you are. COPYRIGHT: Art, illustration or photographs may not infringe on the copyright of another’s work. Artists, designers and photographers retain all copyrights. USAGE RIGHTS: Submission of entries acknowledges the right of Creative Quarterly to use them for publication, exhibition and promotion.